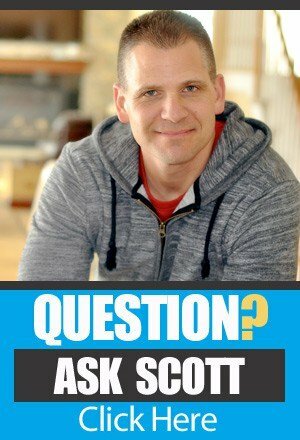 A few episodes back, Scott issued the Product Discovery 24 Hour Challenge. Did you take him up on the challenge? If you haven’t, it’s not too late! Take a look at the links in the resources section below to learn all about it. 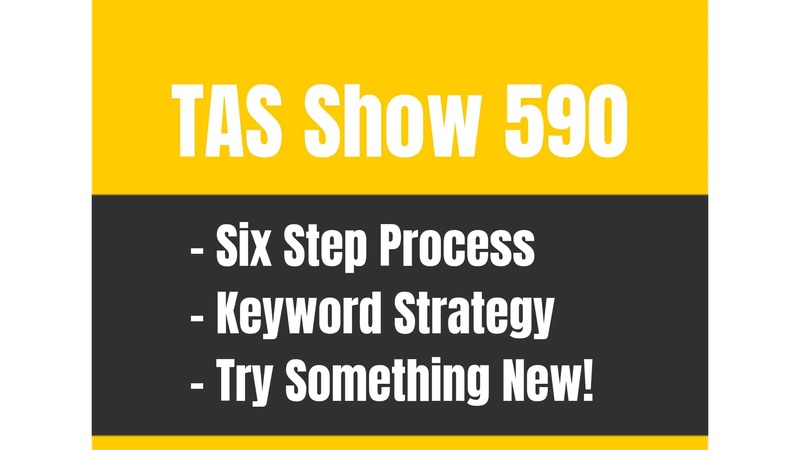 On this episode of The Amazing Seller, Scott shares some update from TAS followers like you who took the challenge and came back with some awesome results. 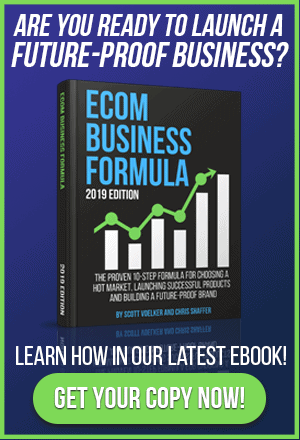 Scott also has some great insights that you can use to take your ecommerce brand to the next level. Don’t miss a minute of this engaging episode! What is the Product Discovery Checklist? Did you find a market? Are there people in social media groups for that market posting content? Are there 3 to 4 products currently selling to the market? Can you build an email list in this market? Are people consuming “How to” content on YouTube or Facebook? Can you find social media influencers in this market? Is this a trend that has a short life? If you are ready to take the plunge with this Product Discovery 24 Hour Challenge, make sure to listen to this episode as Scott expands on this checklist and much more! Guess what? It actually works! Are you one of those people who likes to sit back and wait to see if an experiment or experience is worth your time? That’s great! But sooner or later you have to move from observation to participation! On this episode of The Amazing Seller, Scott shares some stories from TAS followers like you who took the plunge and went through the Product Discovery 24 Hour Challenge. While it wasn’t a walk in the park for everyone, it did end up providing some solid leads and helped to get the creative juices flowing. So what are you waiting for? Listen to this episode and find out what you’ve been missing! Always be aware of what’s around you! As a business leader, you are likely a curious and inquisitive person. How have you used that innate curiosity to help you as you conduct product research and look for ways to build your business? On this episode of The Amazing Seller, you’ll hear from Scott as he goes over the ways that staying attentive to his environment and even his conversations have served him well. Don’t leave it all up to guesswork, you can learn the skill sets necessary to make your ecommerce brand competitive. Learn more from Scott’s strategy and get the tools you need to succeed on this episode! [4:30] What is the Product Discovery 24 Hour Challenge? [8:00] Scott runs through the Product Discovery Checklist. [9:30] A stories from TAS followers who took the challenge. [17:30] Always be aware of what’s around you! [19:30] Scott recaps the checklist and offers some closing thoughts. …an update for you. I’m going to actually go through, well, this update with some results from our Product Discovery 24-Hour Challenge and if you guys have missed that, well that’ll be my first thing to say is you should probably go over and check out that podcast episode which was episode 473. Again, I’ll link everything up into this episode show notes but the quick link for that one is TheAmazingSeller.com/473. What I’ll do here today is I’ll give you a little recap of what went into the Product Discovery 24-Hour Challenge which you can start right now by the way. You don’t have to wait for a certain time. You can do it right now. And what I want to do is I really want to kind of go through like what we set up but to do this 24-hour challenge but then also some of the results that have come from doing that from you, the listeners, and really how it’s opened a lot of people’s eyes and really it was a little bit more of a freeing experience because we’re not necessarily looking at products. What we’re doing is we’re looking at markets and we’re looking at if you want to call it nĭches or nēshes, whatever you want to say or call it, it doesn’t matter to me. It’s a market. We’re going after a market and really moving forward. You guys are hearing me talk a lot more about this is really about building that brand but really finding the market that we want to serve products to or find a different sub-niche inside of the big massive market. And I use examples a lot of times like with fishing, so we go fishing while we have different types of fishing. We could go after the bass fisherman. We could go after the ice fisherman or maybe that same fisherman does both but we’re really going to call out the individual or the one aspect of that part of the market. [00:02:02] Scott: Again, I talked about this one which is kind of crazy, kayak bass fishing. That’s even sub down even further, sub-niche down even further than just fishing to bass fishing to now we’re talking about kayak bass fishing. And who knows? There might be another submarket in bass fishing, a different style, something that I don’t know of, but you get what I’m saying. We want to go after these bigger markets, but we want to also find a way that we can niche it down, so we can find a way to get into that market and then from there we can start to go after those more competitive products, but we want to start in those submarkets. So, it’s all about to me finding niches or markets to build a brand or expand your current brand. Now some of you, probably a lot of you have already started and you already have your market picked. That’s great. Now, let’s find a way for you to even drill down a little bit deeper and go a little bit wider so that was kind of confusing, wider, deeper. You get what I’m saying, right? Like, we want to take your market and we want to drill down a little bit but then we want to go a little bit wider with that product list or that product base and then we can start to even expand further and that’s really what we’re talking about here. So, my whole goal is for you to find something that you’re either passionate about or something that you have an expertise in or something that you could get involved in right now, know a little bit about that market and then from there you can start to either create your own content, build your own email list. You can start to serve that market but then also sell products to that market. And to me, that is the way that you build a brand. That is the way that you’ll be able to go out there and compete on Amazon or even off of Amazon. You will be able to dominate your sub, sub-niche and then from there once you start to get that brand recognition and you start to build that brand where people are coming in from all these other types of products, you will be able to then go after those more competitive products because people are going to want to buy when they’re in that experience. [00:04:04] Scott: And if they’re already trusting you within that one purchase, there’s a good chance that they’ll buy something else even if it’s in a competitive space because they didn’t search for it necessarily. It was just brought to their attention because they bought something from you. So, that’s what I want to do here today. I really want to give you just a quick update, let you guys know how it’s doing and again to remind you to definitely do the Product Discovery 24-Hour Challenge especially if you’re stuck. If you’re stuck just picking a product or if you’re stuck in your current brand and you don’t know what product to do next, this will definitely help you. So, let me just take a minute here to go through the 24-hour challenge again really quickly. I gave three action steps and you guys know I love action steps. I love for you guys to walk away with something to do and maybe you even listen to the 24-hour challenge right now and you’re like, “I’m going to do that,” and you didn’t do it. This is my reminder to say go do it because people are doing it and they are getting these light bulbs to fire and really get brighter and I want that to happen for you as well. Now, you guys know I love action steps and that’s why I create them, and I did that right here inside the 24-hour challenge. So, action step number one was what we’re calling discovery mode. This is where you created a touch list, you created a passions list, you created a problems list and now again I’m not going to go into all of the details there. Again, I would go back and listen to the 24-hour challenge where I break everything down or just go to TheAmazingSeller.com/challenge and then that will link up to that podcast episode as well and give you all the details and it’s all kind of mapped out inside that post. So that’s number one. Action step number one, discovery mode. Action step number two was finding markets or niches. So, we’re really looking for products in the beginning just to lead us to these markets. See, I’m not having you go out and just do a touch list or go like think about products that you’re using so you can sell that product necessarily. What I’m doing is I’m getting it to get the creative juices going but also to get you to be aware, okay, to be aware of your surroundings or things that you’re doing that you’re not even sure you’re doing because you’re just doing it unconsciously because that’s what you do. [00:06:07] Scott: Okay. It could be in your job. It could be a hobby that you do all the time that you’re not even aware that that’s something that you could really create a brand in like I’m just trying to have you get into that mode. But action step number two is where then we drill into the markets or we find the niches. That’s what we’re doing and then once we do that, we can start to narrow our focus down into the sub-niches and look at the big market but then also look at all the sub-niches inside of that bigger market. So, that’s what we do an extra step number two. Now action step number three is the validation drill down. Now, this is where you will choose one or two markets and then that’s where you’ll explore and search to see if it’s really a market that you could tap into. Now, again, I’m not going to go through all the details here on how to do that but that is really do three parts of this 24-hour challenge. All right. So, in 24 hours you should be able to go through all three of those action steps. Now, what I also did is I gave a review and checklist exercise and I listed it out. There are eight different components here. And the cool thing is Mitch which I’m going to highlight him here in a second what Mitch actually went through this with his wife in detail and went through this exercise and he came out at the other end saying, “Holy cow, like I didn’t even realize that there was a market. Now I’m starting to see all of these different markets that I could potentially go into and now what I’m going to do is I’m going to run this exercise against those ideas.” That’s really what it’s doing for you. Now, he does share one that he’s not going to necessarily go in so I’m going to share that with you because he shared it publicly, so I’ll share it with you, but it’ll show you how everything is kind of going through this checklist and then really checking it off and say, “Okay. Yes. No. Yes. No.” And then you can elaborate a little bit on them too but I’m just going to cover these really quick and then I’ll give you some of the listener stories and then I’ll give you the one, the main one here that goes through this checklist in detail. [00:08:08] Scott: So, number one, did I find the market? Number two, are there people in groups posting content? Now again, guys, if you don’t know what I’m kind of referencing to, you want to go back and check out that episode, the 24-Hour Product Challenge episode that I did. Again, you can go to TheAmazingSeller.com/challenge or you can just go to the show notes to this episode which is 486. TheAmazingSeller.com/486. All right. Now I’ll leave everything linked up there as well, so you don’t have to jump all over the place. All right. So, I left off on number two. Are there people in groups posting content? Now number three, are there three to four products currently selling to the market? Number four, can I build an email list in this market? Number five, are people consuming how-to content on YouTube or Facebook? Number six, could I find influencers in this market? And number seven, is this a trend that has a short life? And then eight, is this seasonal? So, those are the eight questions that I came up with and the crazy thing is, is when I put this 24-hour challenge together I wanted it to be structured, I wanted it to be action steps, and I wanted it to have kind of like a project feel kind of like you would go through this thing and at the end of it you would have like your answers and that’s exactly what we’re doing here in this checklist exercise. Let’s read what Mitch has to say here. All right. So, I’m going to highlight Mitch here. Mitch says, “So, Rene and I spent four hours going through Scott’s Product Discovery Challenge with an open mind to find and explore a product niche. The goal was to see how this process worked. Simple.” Alright. So, let me just stop right there. I love it how Mitch is saying that this is, number one, a process and he is also saying that he wants to go in this thing with an open mind. Now I think you need to do that. [00:10:04] Scott: So many people are relying on tools to find the product. That’s not what we’re doing here. We will use tools eventually. We’re going to use tools to look at the numbers to look at the data but we’re not necessarily looking at a tool to deliver us a product. I’m doing it the opposite way which I think is a better way because, again, we can tap into something you’re currently already involved in or an expertise or anything like that. 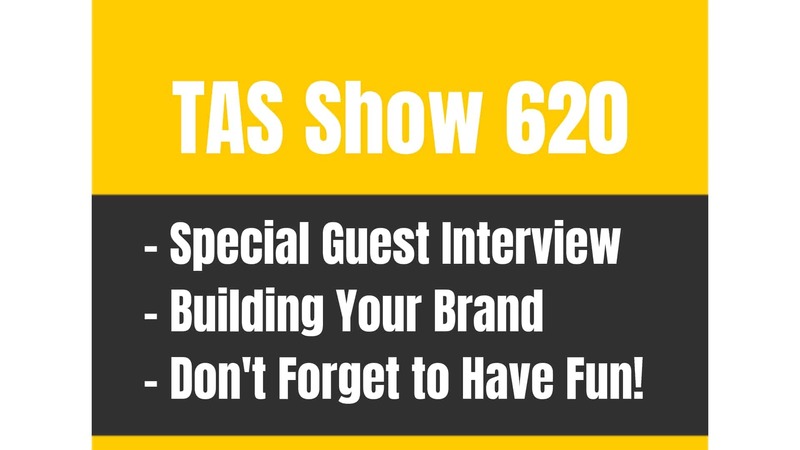 It’s going to make your job a lot easier especially if we’re building a brand. So, moving on. “The only downside was that I, the guy, seem to have more problems than she did. As a matter of fact, she even wondered why I found that confusing. LOL.” All right. So, it sounds like they’re having a good time too which is always cool. So here it is. He’s going to go through and give me the checklist. “So, number one, did we find a market? Yes. We found multiple markets but chose one, barbecue grilling.” So, let’s see what else happens here. “Number two, are there people in groups posting content? Yes, we found over 100 very active groups having conversations. Number three, are there three to four products currently selling to the market? Yes, there were hundreds of products including grails, smokers, recipes, rubs and spices, knives, grill utensil sets, etcetera. Number four, can we build an email list in this market? Absolutely. Just looking through the products offered in general interest in learning more about recipes and accessories is pretty convincing.” You definitely could. I mean, again, I don’t think we’re going to be going into the barbecuing industry here but there are all different angles you can go into the barbecue grilling. It could be the tailgater. It could be maybe the guy or the girl that’s into briquettes, that style of grayling and maybe with certain hickory or the different woods like hickory and apple and all these different hardwoods like there’s all that stuff that you can drill into. Okay. So anyway, moving on. [00:12:00] Scott: “Four, can we build an email list? Absolutely.” Okay, I just went through that. I’m repeating myself here. “Number five, are people consuming how-to content on YouTube or Facebook? Yes, everything from cooking outdoors to sharing recipes and techniques. Six, could we find influencers in this market? Yes, there were numerous examples of people sharing their insights and advice. Seven, is this a trend that has a short life? No way. Good barbecue has been around since the stone ages.” It’s true. “Eight, is this seasonal? Well, there could be an argument that sunny warm weather is prime time for barbecue activities, but we saw pictures of people goober guys mostly standing out back in the snow grilling a mean steak.” It’s true. I do think it is seasonal. I do think, well, it’s not like I don’t think it’s like a seasonal thing where it’s going to hit per month or maybe two and then it’s gone. I think people are grilling all the way through the year just different styles or maybe it’s just like you said you’re going out back and you’re like me I’ve got a grill on my back deck in the winter here. It’s not like snow but I’ll go out there and grill. I don’t stop. [00:16:05] Scott: And then he actually comes back, it looks like probably 24 hours later and says, “Done it.” So basically, he’s done. “Followed Scott Voelker’s method to the letter. Found three niches that I validated and now want to look into further.” So again, this is a way for you to go through the process. Also, I would love for you to kind of come back and check in and let others know that you’ve done it. So again, I’m going to give you that link right now, TheAmazingSeller.com/challenge. I put it into a really nice easy-to-follow post where you can go in, you can, number one, listen to that episode which I think you should, come back to that and then it will give you the actual steps to follow but then from there, it also gives you the exercise to run your numbers against which I think is really, really powerful. And if you commit to doing this, just 24 hours, it’s all we’re talking, it may give you those ideas that you didn’t think of before because you’re going at it at a different angle. Sometimes you got to take a step back and do things a little bit differently. In this case, this is what I would do. This is exactly what I do almost automatically without even thinking about it anymore. Like, if I find something and again I’m already kind of tapped out as far as like how many things I’m involved in right now between partnerships, between the podcast and everything else that’s going on. So, something that would come across my desk, I would look at it, but I wouldn’t necessarily jump right in because I don’t need it right now and I’m kind of already busy enough. But it doesn’t mean that I won’t take something and then run it against this stuff and then shelf it or even if there was something that was looking to partner, we could talk about that type of stuff but again this is the exact process. I’m always aware and I think that’s another big little lesson here for you guys is to always be aware. Be aware of your surroundings, be aware of your conversations. Be aware when you’re sitting there having a conversation with someone at your daughter’s volleyball like I do all the time and just listen, be a good listener. [00:18:00] Scott: Listen to what they’re passionate about. Listen to what their expertise is, what they do for a living. When people when they’re really into something, they’re going to talk your ear off about it. There’s someone that talks my ear off every now and then about homebrewing, beer. IPAs and all these different ways to brew hops, this, that, and the other thing. It’s not something I’m interested in, but I bet you if I went into that market and I was to kind of let that person be the expert, that person could probably drive all my content. They could probably be a face and they would love doing it. They would pretty much do it for nothing because they love it. They absolutely love it. So, that would be something that I would say let me do the other side of things. Let me kind of figure out the product side of things and then let’s figure out what angle we’re going to tap into in this homebrew because there are all different angles you can go there. There’s also winemaking at home and then there’s beef jerky at home and then there are all of these dried foods and like all of the stuff that you could go into by me just having that one conversation with someone that is so passionate about homebrew. So, there’s a whole bunch of different angles you can go if you are, number one, aware but then also you know how to run the process as far as and I love it. This little project that we do. It’s kind of like going through that review and checklist exercise once you do that. And then, once you establish three or four products then we look at the numbers. Because we kind of, again, I’ll just recap real quick. Did I find a market? Are there people in groups posting content? Are there three to four products currently selling the market? Can I build an email list? Are people consuming how-to content on YouTube or Facebook? Could I find influencers in the market? Is this a trend that has a short life? Is this seasonal? So, all of those things I would ask myself again with that example. With that example, that is what I would run. [00:19:59] Scott: So, guys, this is going to wrap it up pretty much for this episode. I did want to just jump on here and give you a little update. I love it when I get you guys, the TAS Community, involved and you guys definitely gotten involved, but I know there’s more of you that should get involved. And right now, if you are stuck in any way with product research or finding the next product or figuring out even where to start, this is where I would start. TheAmazingSeller.com/challenge. That would be the way to get you started in 24 hours. Now, I will remind you guys that if you are interested in going through this entire process over four weeks, we do have something called the Product Discovery Boot Camp. Now, if you are going there right now and it is closed that just means that we have not reopened yet. We will be reopening this to the public and depending on when you go there, you will see all the details on that page. If you’re interested in going through this entire process, having it structured, having yourself be accountable as well, go to ProductDiscoveryBootCamp.com for all the details there and that is a very specific four weeks laid out for you to go through this entire process. And then the other end of it, you will have a market and product selected and you’ll have your first supplier contacted. All right. So, that is what Product Discovery Boot Camp is all about so definitely go check that out as well. All right, guys. So that’s it. That’s going to wrap it up. This episode is 486, TheAmazingSeller.com/486. If you just want to go to one place and get all the links and all the transcripts, that’s where you would go. All right, guys. So that’s it. That’s going to wrap it up officially. Remember, as always, I’m here for you, I believe in you and I am rooting for you, but you have to, you have to, come on, say it with me, say it loud, say it proud, take action! Have an awesome, amazing day and I’ll see you right back here on the next episode. Now get out there and do that 24-hour challenge. What are you waiting for?